Investment and trade were a part of the civilized society much before banks evolved. People would purchase land/ property and sell or lease it for gains. Even after banks and other investment avenues surfaced, most people still prefer investing in real estate as a great way to earn a regular income and create wealth. Think about it, if you invest in a property and lease it out, you start earning rental income every month. After 10 or 15 years, when you sell the property, the price would have increased giving you a lump sum payout. A bank primarily accepts deposits from its customers at a specific rate of interest and offers loans to prospective borrowers at relatively higher rates, earning them the margin. It does not invest its own money. It takes money from the fixed deposit customers and lends it to borrowers. Over time, fixed deposits became a preferred investment option for many people since they were simple and the returns were guaranteed by the bank. In this article, we will talk about real estate investment vs fixed deposit. Real Estate is a physical property which includes land and everything fixed or immovable attached to it. These attachments can be trees, buildings, fences, roads, etc. In simpler words, buying a real estate property means buying land along with all the natural and man-made structures attached to it. When you invest in real estate, you can buy a commercial, residential, or industrial property. You can also buy a piece of land with no structures on it. On the other hand, you can also invest in fixed deposits offered by banks. All banks offer these investment products where a fixed rate of return is offered for a specified tenure. Once you invest in these instruments, you can receive the returns as agreed upon at the time of booking the deposit. Both real estate and fixed deposits have been preferred by investors for many years. However, it is important to remember that both these investment options cater to the different needs of investors. Let’s look at some primary differences between them. As an investor, it is important that you do not fall prey to misconceptions about returns. Many people believe that property prices always rise. The fact is that the property market can experience ups and downs which are difficult to predict since they depend on a wide range of factors. In the long-term, you will definitely earn good returns. However, if the markets are declining, then you might have to wait a little longer. Real Estate investments can offer you some really good returns. But, if you are looking for assured or guaranteed returns, then a fixed deposit is a better option for you. Unless the bank closes down, you will get the interest promised. However, with Real Estate Investment Trusts (REITs) and Real Estate Crowdfunding, you can participate in the real estate market without buying a property and therefore not straining your finances. On the other hand, investing in fixed deposits can be started with small amounts. Many people believe that investing in real estate is a lifelong expense. First, you have to pay a large sum of money and repay the loan to own the house. Then, you also have to keep spending on the house to maintain it. 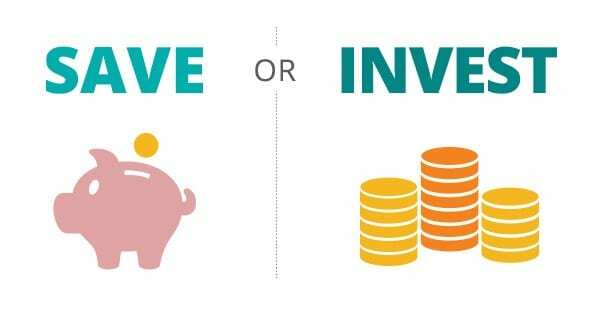 However, as an investor, you should realize that this is the only investment vehicle which gives you the option of increasing the value of your investment by working on it. Rather than waiting for your property to demand repairs, if you take care of it regularly and try to enhance it, its value will increase exponentially. Fixed deposits have no such expenses. What do you do if you want to open a fixed deposit? You log in to your internet banking account and open a deposit – simple. What do you do if you want to invest in real estate? You research the market, the neighbourhood, infrastructure, and a thousand other factors before you finalize the property and invest in it. Sounds tedious, doesn’t it? Yes, it is. However, as we mentioned earlier, all these efforts pay returns. With real estate investments, you get the opportunity of earning rental income every month while your property appreciates in value – a win-win situation. Therefore, it is safe to say that investing in fixed deposits and real estate have their own advantages and disadvantages. Hence, you must ensure that you work on your financial plan before you start looking at investment options. Fixed deposits do give you the comfort of an assured return, but those returns are minimal and usually fall behind inflation rates too. In order to create wealth, real estate investing is a much better tool. If the financial goals require you to play it completely safe even though the returns are minimal, then stick to fixed deposits. However, if wealth creation is on your radar, then investing in real estate is unavoidable. Remember, as an investor, you must spend some time assessing your financial goals, risk preference, and time horizon of investing. These three factors will help you determine the assets that you can invest in and fulfil your goals. Talk to an investment advisor and take his help to create an investment plan. Your financial independence is dependent on how efficiently you create and implement your financial plan.